We all love pizza, right? The problem is that the crust is packed full of carbs and sugar. It’s hard to justify eating something–even when it’s so delicious–when it has so many nutritional drawbacks. This 3 ingredient low carb cauliflower pizza crust recipe solves all of those problems! You can now have pizza that tastes great, but won’t completely blow your food goals. Is this a gluten free pizza crust recipe? Yes! This is a great option for those of you who need to or want to avoid gluten. Gluten free pizza crusts carry the same issues as traditional crusts–they’re packed full of sugar and carbs. For a low carb option, this is a super simple recipe. All it takes is three ingredients to whip up a low carb cauliflower pizza crust. Add your favorite toppings and pizza night is back on track! 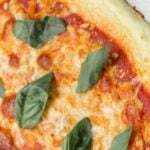 My mother in law taught me how to make this super easy and quick low carb pizza crust. Is this healthy pizza crust? As is, it’s 2 servings (2 crusts) on the 21 Day Fix. One pizza crust is 1G, 1.5B, 1/4R. One half of one crust is .5G, 3/4B, negligible red. Don’t forget to add your toppings! The entire recipe is 11 Weight Watchers Smart Points. For one crust you would have 5 or 6 points however you’d like to calculate. No additional points necessary for 1/2 cup tomato sauce and fresh spinach for topping! If you add more cheese be sure to add extra points. Is this a keto pizza crust? 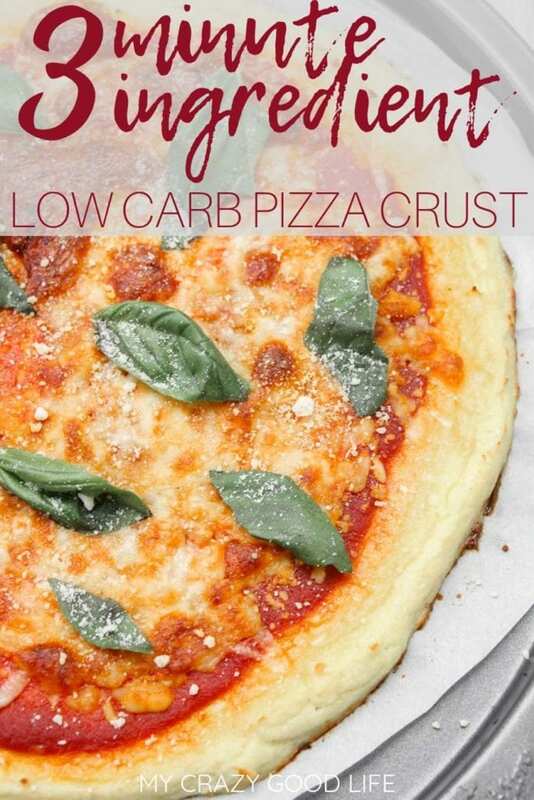 This is a great low carb pizza crust. If you are keto this would be a great option. 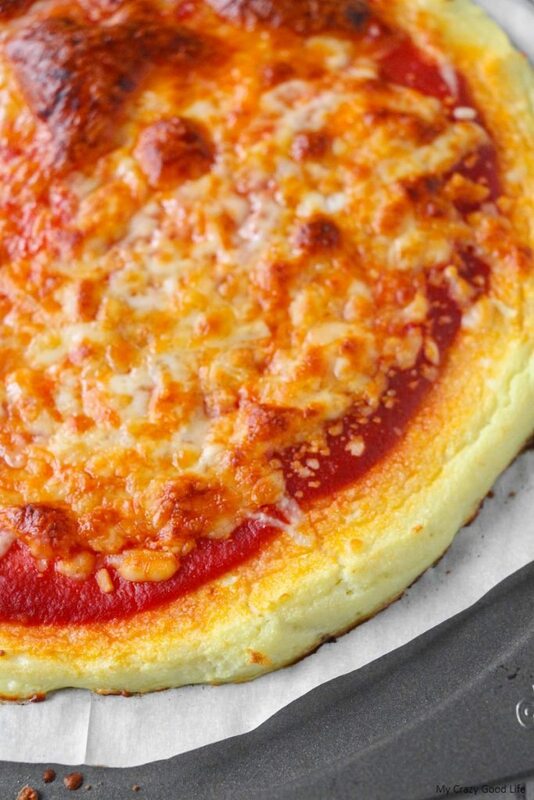 Keto pizza crust doesn’t have to be super processed or complicated to make. 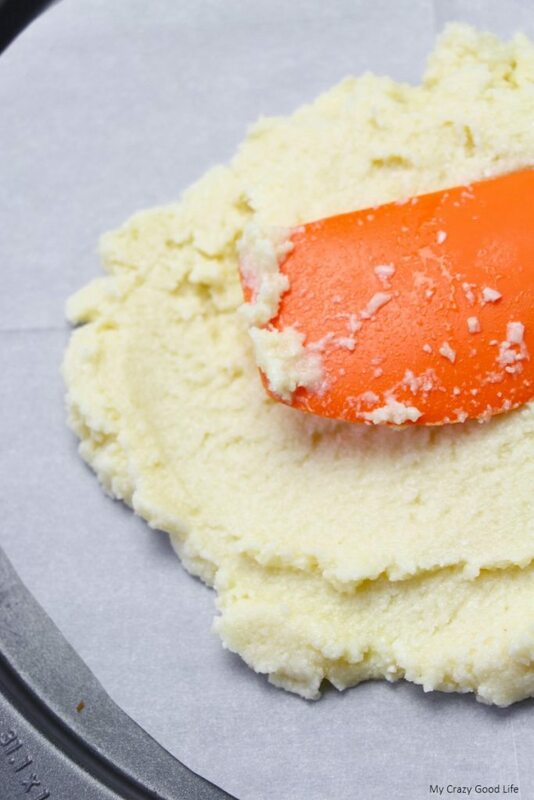 Try out this easy healthy pizza crust. It’s fun to let everyone make their own pizza too. You can set up all your favorite toppings and let everyone have some fun creating their own masterpiece. Problem solved, no more arguing about what to get on the pizza! This low carb cauliflower pizza crust is a family favorite! 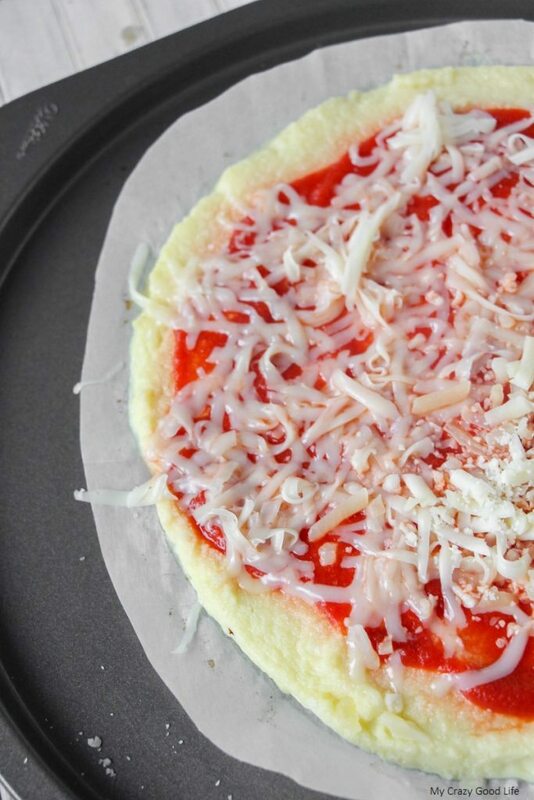 It uses only 3 ingredients and is so easy to make on pizza night! 21 Day Fix Friendly. Place the cauliflower in food processor and mince. Add the mozzarella and egg, then stir it together with a spoon or fork. Press onto parchment paper in a circle or square (or any other desired pizza shape) and cook for 7 minutes on 400 degrees, or in a pizza oven. Flip the pizza crust and add your toppings to the bottom of the crust (it gets a little crispier that way), and bake another 7 minutes or until browned. 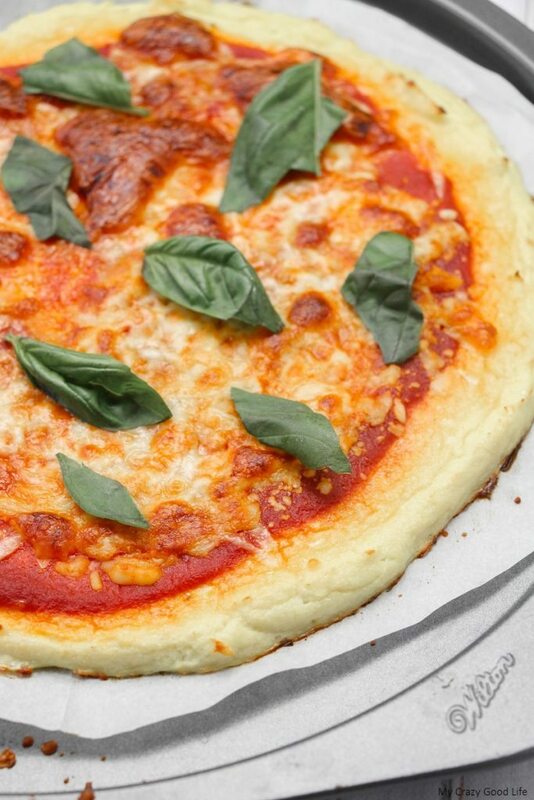 Perfectly perfect pizza that's a little healthier. As is, it's 2 servings (2 crusts) on the 21 Day Fix. One pizza crust is 1G, 1.5B, 1/4R. One half of one crust is .5G, 3/4B, negligible red. Don't forget to add your toppings! 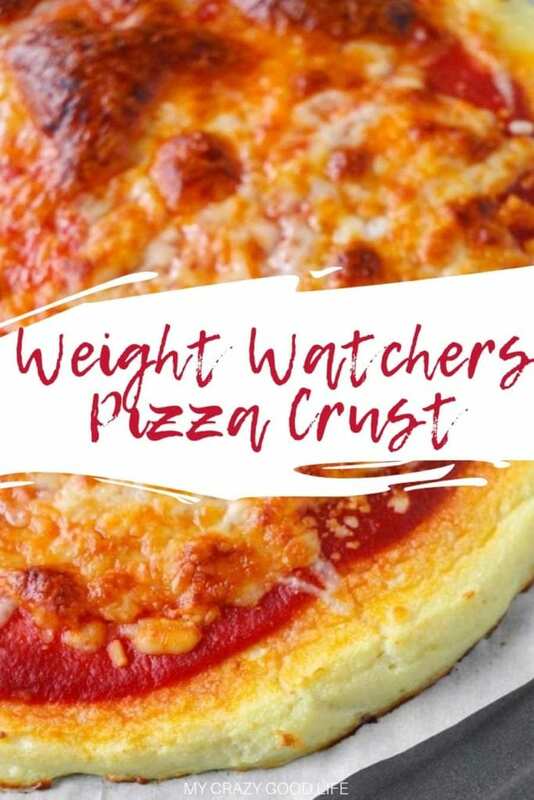 The whole recipe is 11 Weight Watchers Smart Points for one crust you would have 5 or 6 points however you'd like to calculate. No additional points necessary for 1/2 cup tomato sauce and fresh spinach for topping! If you add more cheese be sure to add extra points!! With just a few simple ingredients you can make these tasty pizzas! 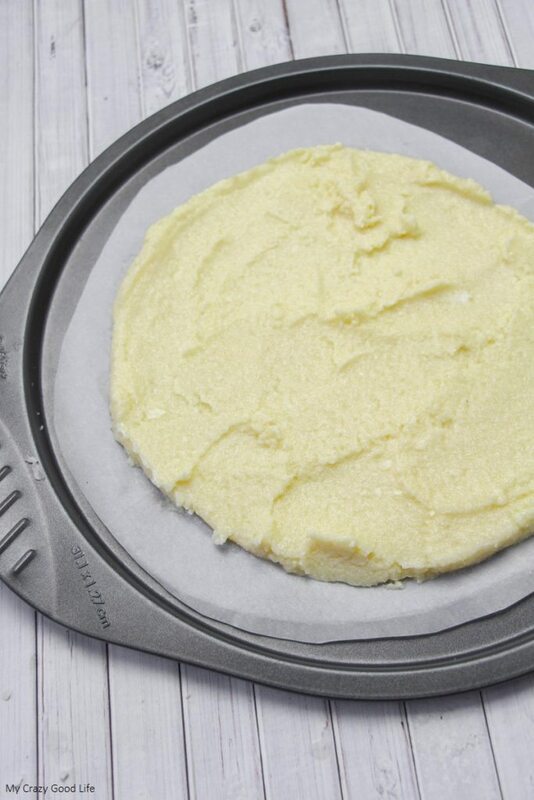 A pizza pan will make baking a breeze and of course you’ll want a pizza cutter to slice them up just right! 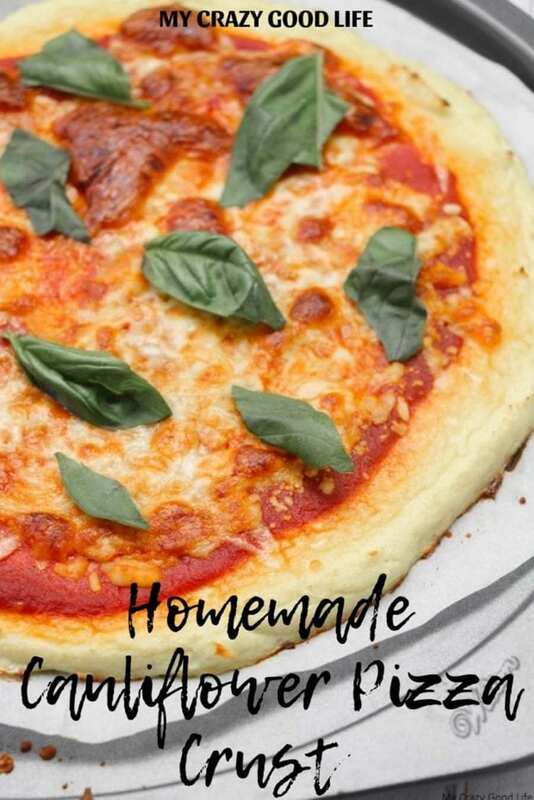 Another great way to make these tasty pizzas is with a baking stone, or a pizza oven like we use. They get that perfectly cooked bottom with an easy to use ceramic baking stone. Perfectly perfect pizza that’s a little healthier. When halving this recipe, you can still use one egg–it comes out just fine. 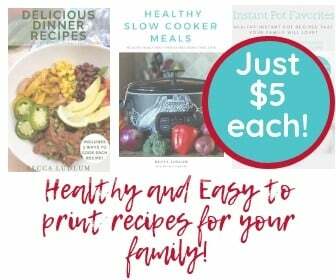 Do you have other low carb recipes? If you’re looking for other great low carb recipes you should check out Cloud Bread. It’s delicious and super quick to whip up! For more tasty meals that will surprise you check out these Cauliflower Recipes. Hi, are you counting the sauce with the containers or would that be more? It was flavorful yet didn’t hold together as wel as I would have hoped. Next time I’ll add some almond flour or something for texture. I don’t know what I did wrong but it definitely didn’t cook after the first 7 minutes. Had to put in for an additional 7 and still didn’t cook. Attempted to flip my mushy crust over in hopes it would cook through with ingredients on it. It didn’t. After 45 minutes of checking and adding time to the timer I gave up. Bummer. If anyone has suggestions please reply. Not a hateful comment, I genuinely would like to know what I could do differently. Thanks. Hey Jamie! I haven’t a clue–this is strange! Were you using a traditional oven? Can this pizza be safely frozen? Also I’m expecting tht if yes, it should be frozen baked. I’d freeze it at least a little bit cooked!